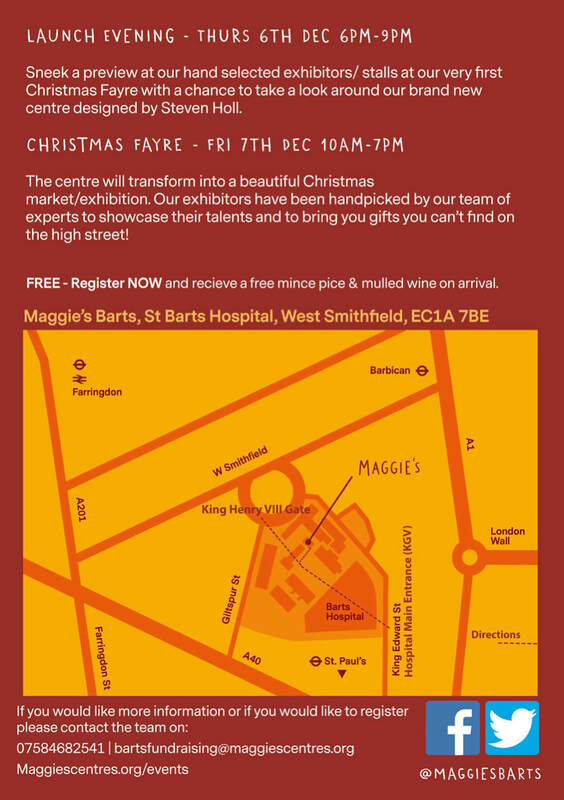 Maggie’s Barts have teamed up with Vicky Thornton and Michele Oberdieck, both designer makers and keen supporters of Maggie’s. The Centre will transform into a beautiful Christmas Market to help you get into that Christmas spirit and of course to get your hands on some ‘not on the high-street’ Christmas gifts. I will be there showcasing my work alongside the talented glass makers, ceramicists, photographers etc. Come and browse the Jewellery, Scarves, Handbags, knitwear, Home wear and much more! Plus, It's practically guilt free shopping, because the more you shop the more money goes towards supporting people with Cancer here at Maggie’s Barts! Please register your interest for guaranteed entry and a free mince pie & mulled wine! ​I will look forward to seeing you at this stunning venue! 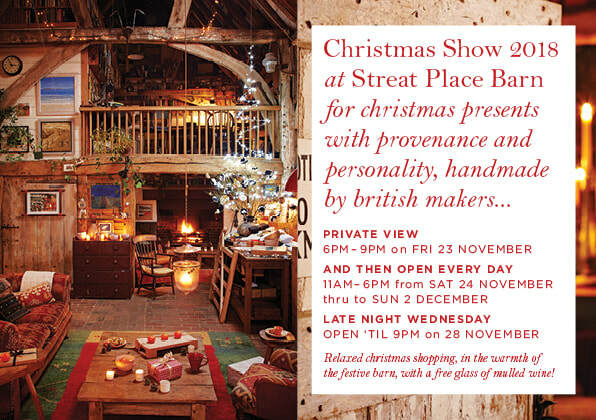 Come to see a collection of my leather goods at this beautiful house. Jinks McGrath has selected a number of British artist and makers to show in her beautiful home. ​If you would like to come, please email info@jinksmcgrath.com to let her know. at CAA - Emily Jo Gibbs: The Value of Making . A spotlight display by textile artist Emily Jo Gibbs who is launching a book to accompany her most recent body of work. The Value of Making illustrates various approaches to making through depictions of tools; hand-stitched exquisite still life portraits in a collage of silk organza in which the tools used in creating craft objects are shown to scale. Emily made these portraits to reflect how proud she is to be a member of this creative community and to celebrate the skill, dexterity and the creative problem solving skills of people who make things. Emily chose me as one of 7 makers and made a portrait of my shoe making tools. We’re back with our annual Christmas pop-up shop for design enthusiasts, in a beautiful gallery space on Clerkenwell Green! and special guest designers like Sato Hisao! A celebration of colour and pattern, with great gifts from UK designers and makers, in Milliken’s beautiful Clerkenwell showroom. 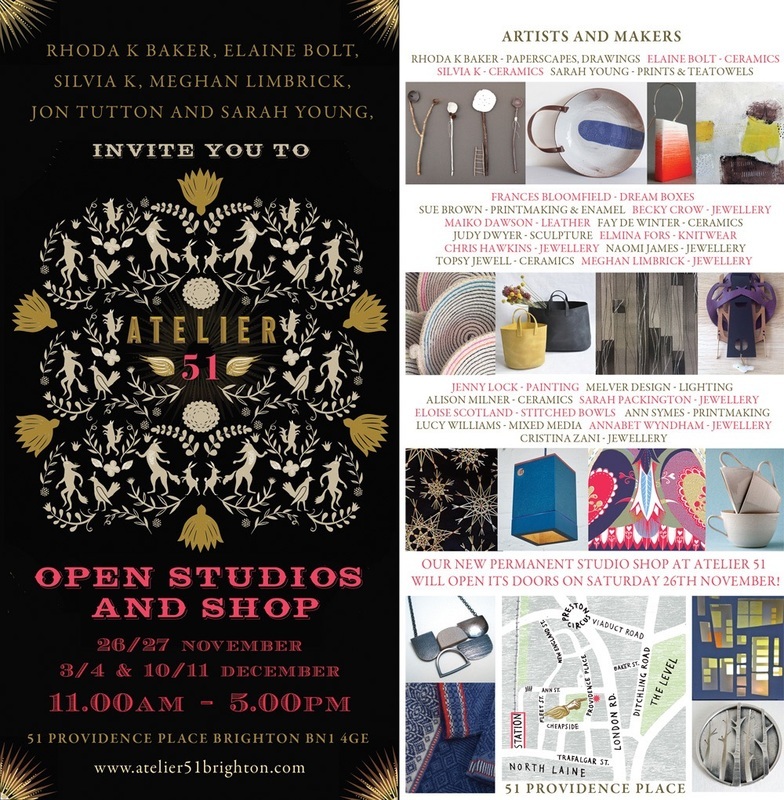 Featuring Sally McGill (ceramics), Kate Jones (knitwear), Corinne Hamak and Jenny Parker London(jewellery), Monokraum (architectural prints), Maiko Dawson (leather) and more. 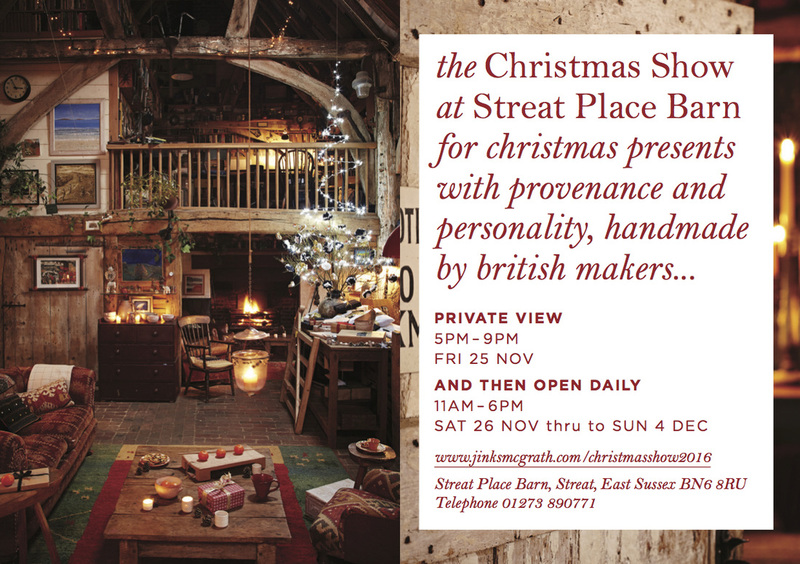 ​on Sunday 11am - 4pm 3rd December. There will be sample/ Bargain stuff as well as my standard range!! 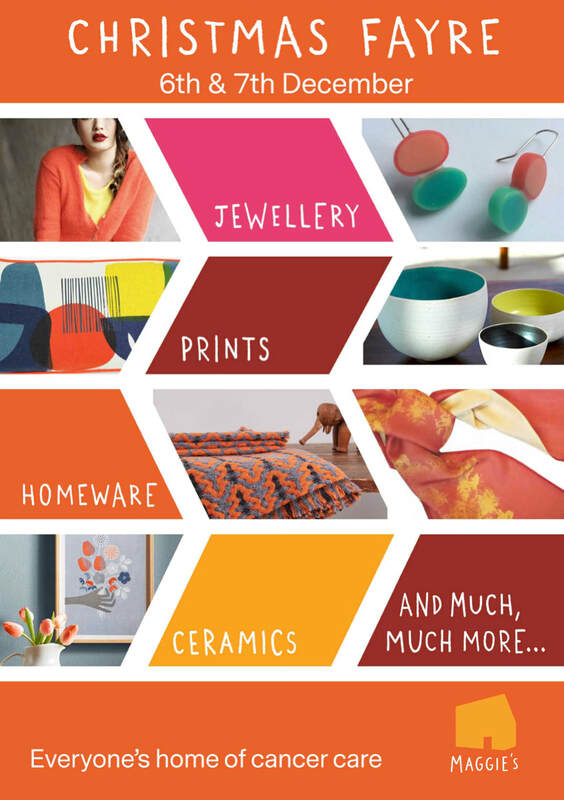 I am delighted to invite you to Brighton Maker Store this weekend. 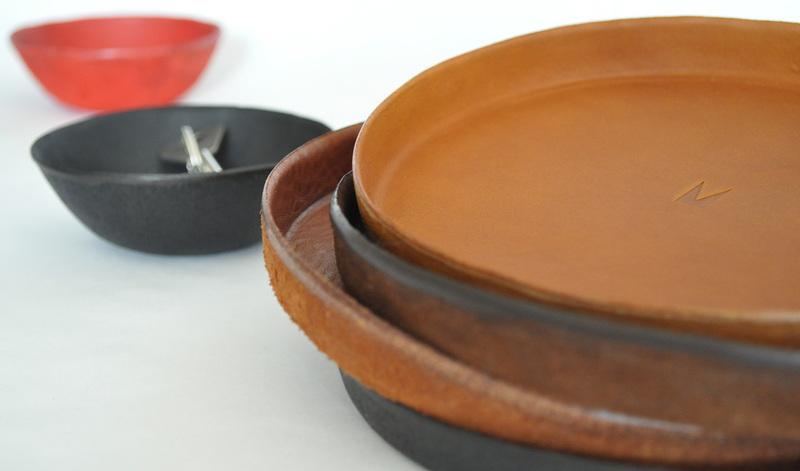 You can buy beautiful objects from well-known designer makers at the Brighton Maker Store. Come and meet the makers and see their work, as well as a selection of their hand tools and materials. from 19th - 22nd October. 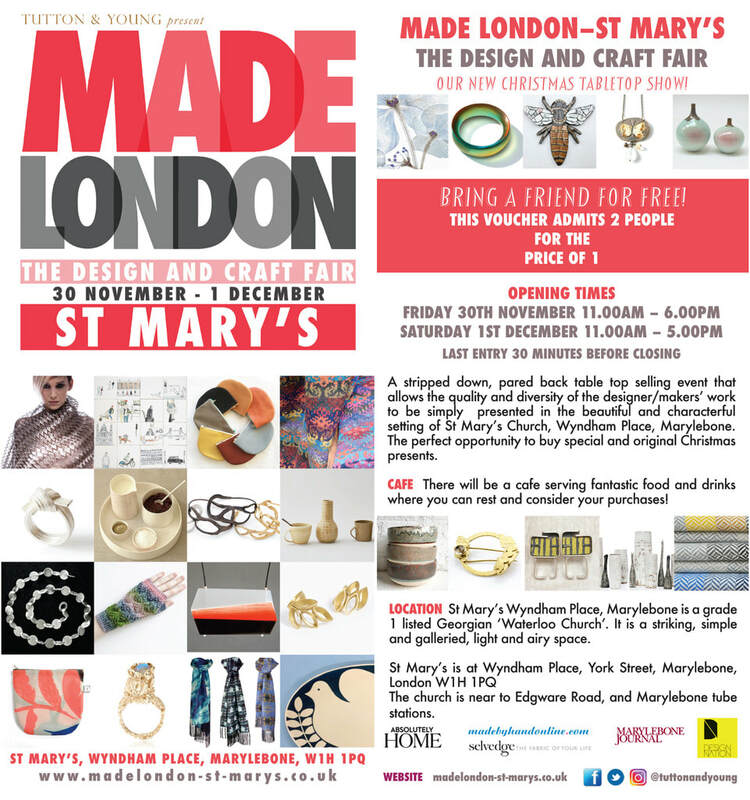 MADE LONDON – Marylebone is an annual contemporary craft and design fair where the very best of national and international designer-makers present and sell their work to the public. Over 120 exhibitors across all media (ceramics, wood, silver, gold, glass, textiles and more) showcase their original, unique and exceptional work to the capital. Maiko will be showing her collection and there will be also some sample sale items at this pop-up shop. I am taking part at a few venues in Brighton Open Houses! The big Streat Place Barn doors will be opened wide for Artists Open Houses, Streat Place Barn is No. 16 on the Ditchling Trail, part of the Brighton Festival. 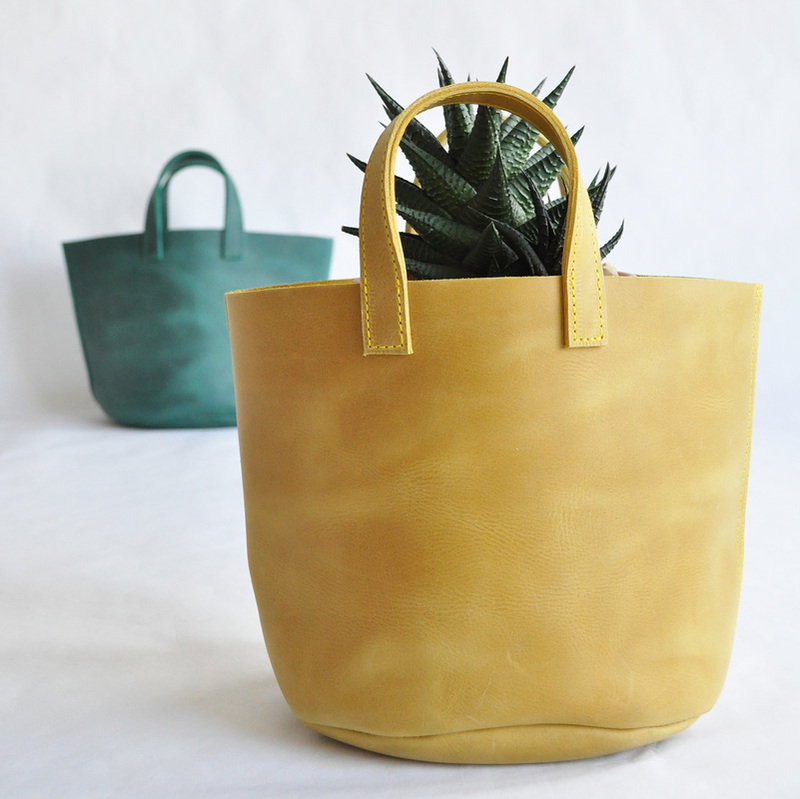 Sharing a love of colour and working with natural materials, Jane (wood) and Maiko (leather), use traditional techniques to create useful or wearable products with a distinctly modern edge. Jane makes bold, playful wooden jewellery, which she hand turns and paints in her studio near the North Norfolk Coast. Jane and Maiko will be presenting their collections, including new designs, at their spring pop-up shop at The Showcase – pop along and meet them! Curated by Charlene Lam of Creative Clerkenwell especially for design enthusiasts and conscious consumers — we’re featuring great gifts from UK designers and makers. Festive drinks on Thu 15th December, 6-8pm — all welcome! Maiko is taking part in Contemporary Textiles exhibition at Newagate Gallery in Farnham until 7th January 2017. 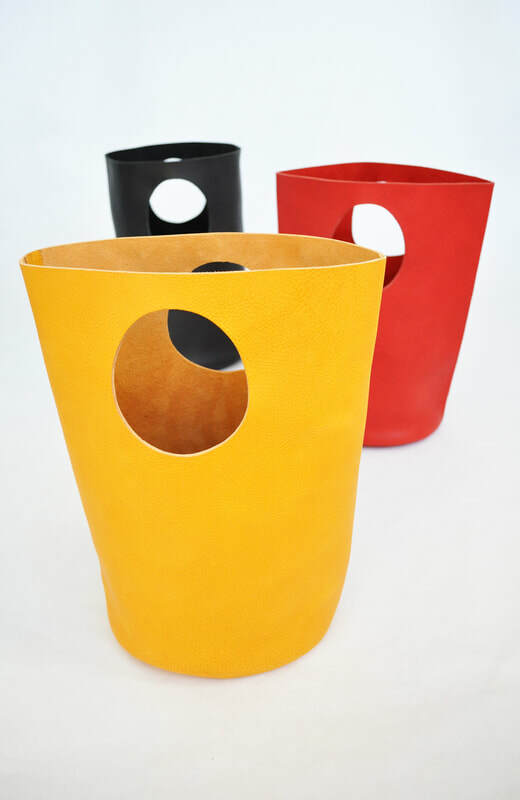 She is showing there some home related items, such as bucket totes/ magazine racks and small leather bowls/ trays. from 20th - 23rd October. I am taking part in London Design Souvenirs pop-up shop. at Craft Central 5th - 10th July. 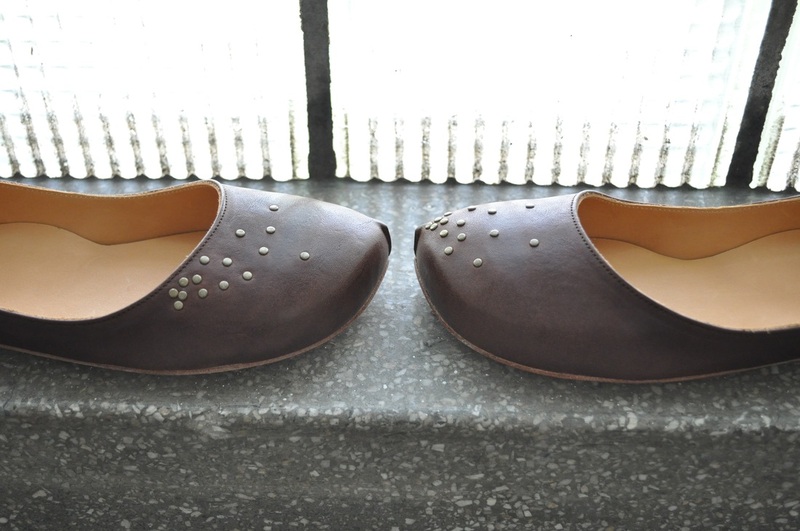 A selling exhibition of UK-based contemporary Japanese designers and artists at Craft Central. Curated and presented by Creative Clerkenwell. 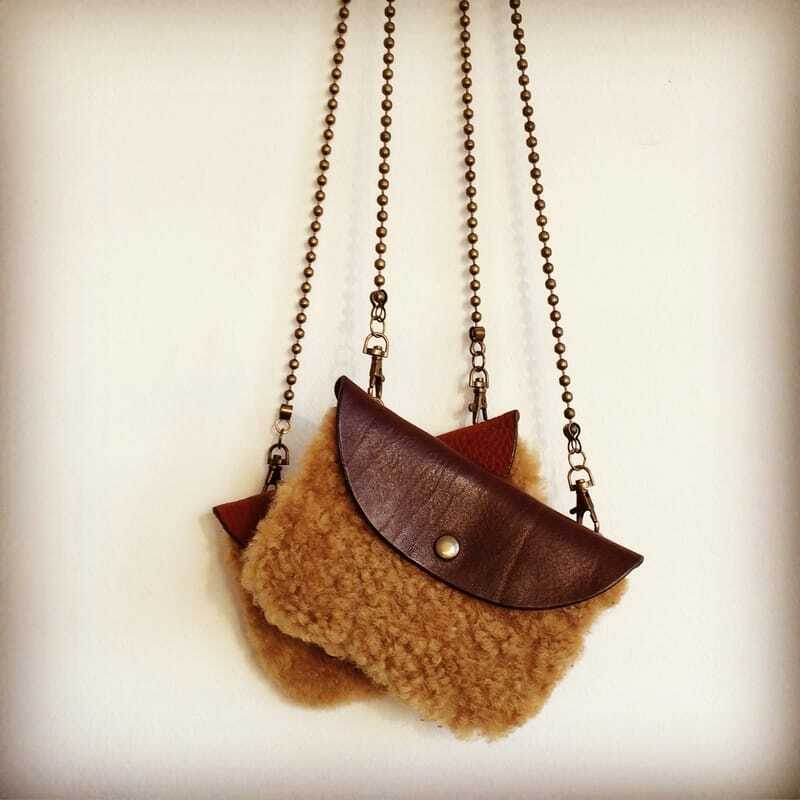 Maiko will be taking part alongside of fellow designers/ makers at Creative Clerkenwell's Pop-up shop. for 3 weeks at 87 Leather Lane, London EC1N 7TS. She will be showing her new house range there. 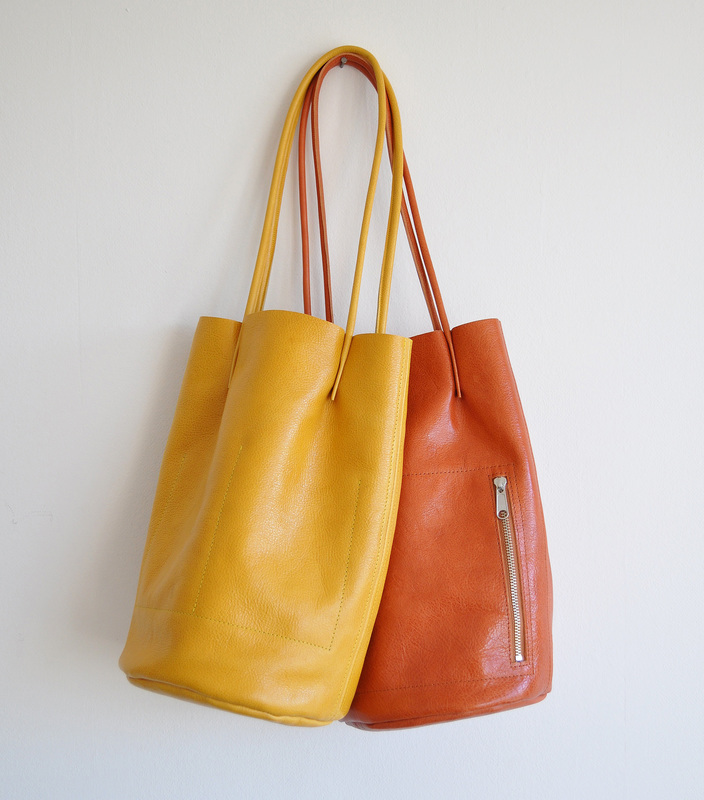 Maiko will be exhibiting at Made London Bloomsbury from 29th April - 1st May. This is a brand new show organised by lovely Made London team and will be at Mary Ward House on Tavistock Place, Bloomsbury. Mary Ward House is a large, beautiful, grade1 listed Arts and Crafts building financed by wealthy philanthropist Passmore Edwards and inspired by novelist Mary Ward. The building was designed by architects Smith and Brewer. I will be at stand no.79 in Mary Ward Hall, if you missed my pop-up shop in March, please come and see my new work. Maiko will be opening a pop up shop for a week in March. 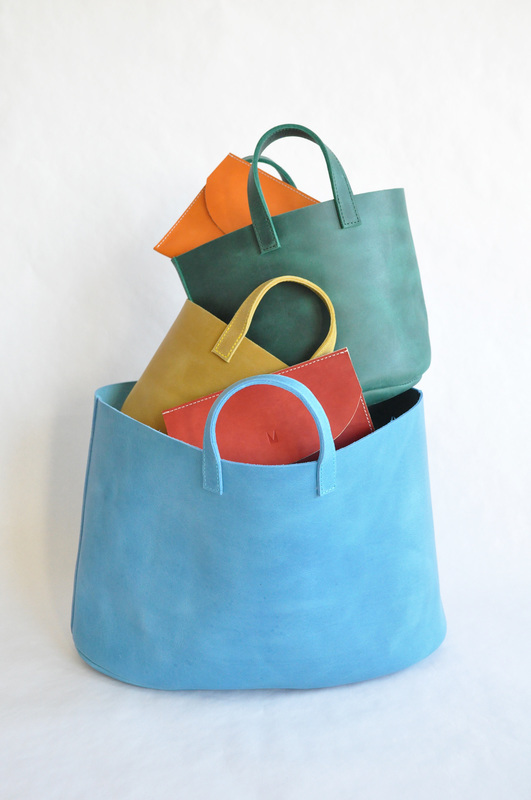 Maiko's next exhibition is at Made in Clerkenwell from 26th - 28th November. There will be four different venues around Clerkenwell Green. She'll be at Goldsmiths' Centre.